At the end of June, I stood at Lexington Green at the point where the American militia rallied around their leader, Captain Parker, and looked out upon a spectacular summer morning. The Green is immaculately kept, and a towering flagpole dominates the center of it. 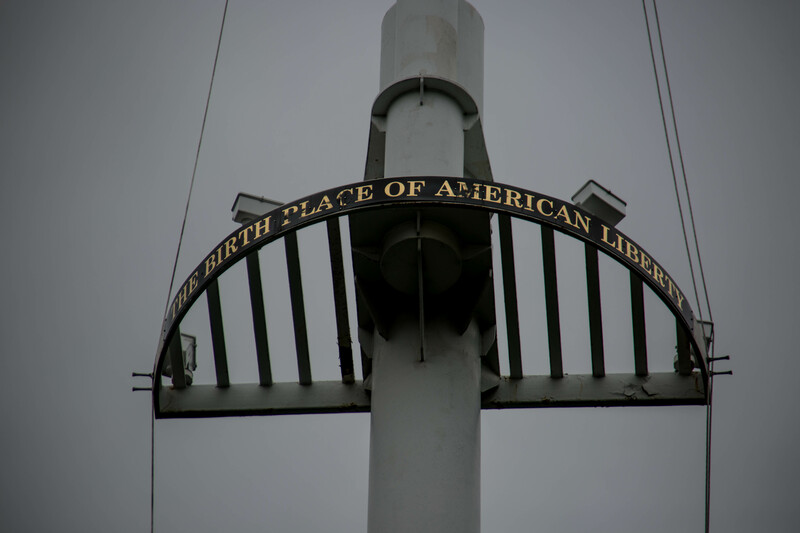 Dedicated in 1976 during the Bicentennial celebrations, the pole flies an enormous, glorious American flag just above the point that became ground zero of our nation’s quest for freedom. 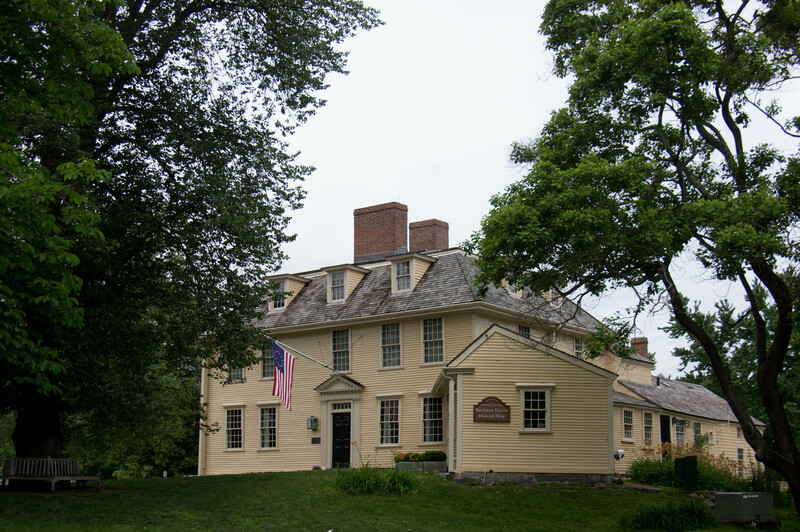 On April 19, 1775, a small group of citizen-soldiers gathered at a tavern beside Lexington Green to await the arrival of a British column. Bound for Concord to seize gunpowder and cannon from the colonials, the British had marched through the night in hopes to reach the stores before they could be moved. Seven hundred British soldiers approached Lexington that morning. About eighty militiamen loitered around the Green. A shot rang out, and the British opened fire, then spontaneously charged the militia as it was trying to disperse. Several men were bayoneted, including one elderly Colonial who had sat down before his hat and had filled it with musket balls. He was run through while trying to reload his weapon. Another militiaman, mortally wounded on the Green, crawled to his house only a few yards away with one final burst of energy. He died in his wife’s arms on the front step of their home while the British soldiers cheered their victory. That was probably the wrong thing to do. Riled up and ready for revenge, word spread through the countryside that the British Army had just perpetrated another massacre. By the time the British made it to Concord, hundreds more militiamen from outlying communities had gathered to defend their towns. Another skirmish broke out at the old north bridge, and this time British blood was shed. From that moment on, the British faced an agonizingly slow march through rugged countryside crawling with angry Americans who fired at them from bluffs, from behind rocks and trees and sniped at them from roadside dwellings. Scores of British troops fell to the constant fire and as they returned toward Lexington, Captain Parker took his revenge and ambushed the British not far from Fiske Hill. Being there in a place I’d read about since I was in elementary school was a truly special moment for me. Not far from where I stood rose the memorial to those killed on the Green that day. Erected in the 1830’s, it is beautifully kept, and the tablet filled with stirring words. Sacred ground. I love places like this, you can almost feel our nation’s heartbeat pulsing through such a place. I’ve had similar moments over the last year at the Selma Bridge, the Hornet’s Nest at Shilo, the Flight 93 Memorial and Burnside’s Bridge at Antietam. In each case, I visited at unusual hours and was virtually alone, and left to feel the site’s power and presence. I’d tried to experience something similar at Dealey Plaza last January, but there were so many people taking selfies on the X where President JFK was killed–while they dodged the assassination tour busses–that the whole scene turned me off. I was afraid the same thing would happen at Lexington as well. But I was surprised to find most every visitor respectful and in some cases reverent. That was until a young couple began to play soccer together under the flagpole. I stopped and watched that, feeling a stab of anger at the sight. 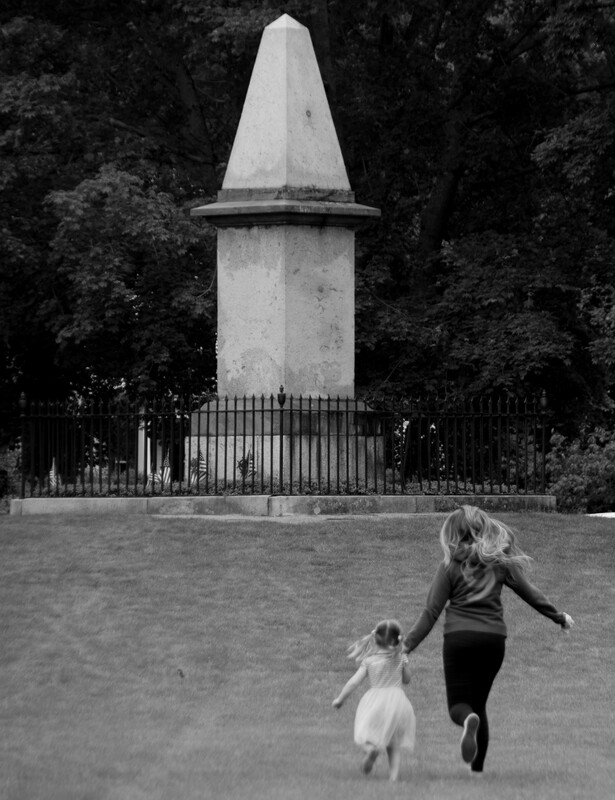 Playing where men died–it seemed an anathema to me. 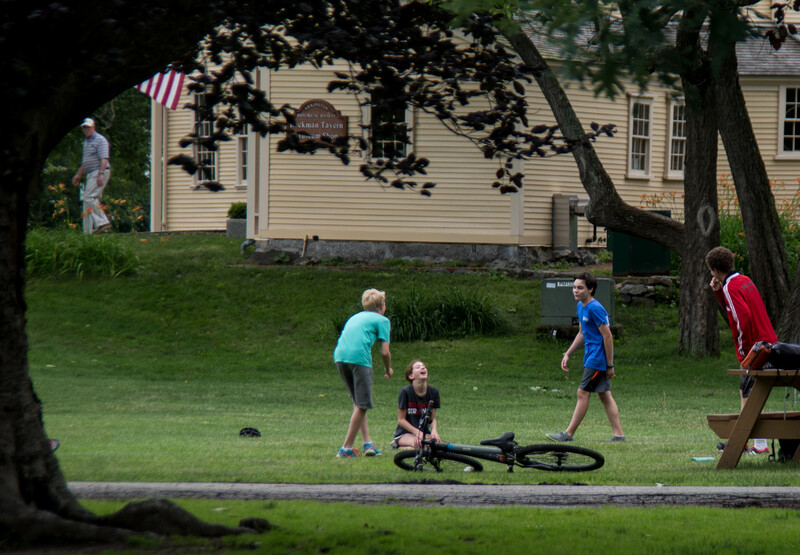 Across the street, between Buckman Tavern and the visitor’s center, there were other kids playing on the grass and goofing off at a picnic table. A thought struck, and the anger vanished. Freedom. 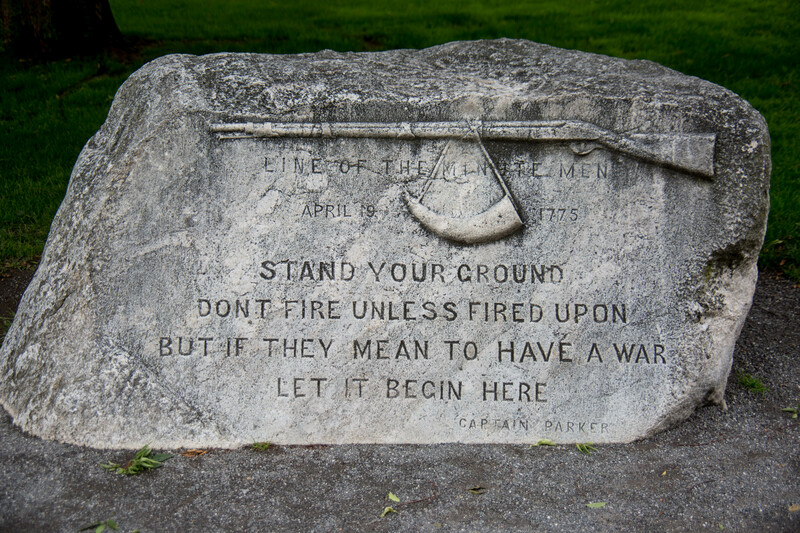 The men who assembled there on April 19, 1775 stood to defend their town. They were men who believed in freedom, and their resistance sparked the flame that set our nation on its path to independence. And part of the gift they have given us is the freedom to do as we wish. Playing and celebrating a warm summer day in the peace and tranquility our nation affords seemed anything but awful in that moment. The next morning, I returned to write at Lexington Library, which sides beside the route the British used to reach the Green. 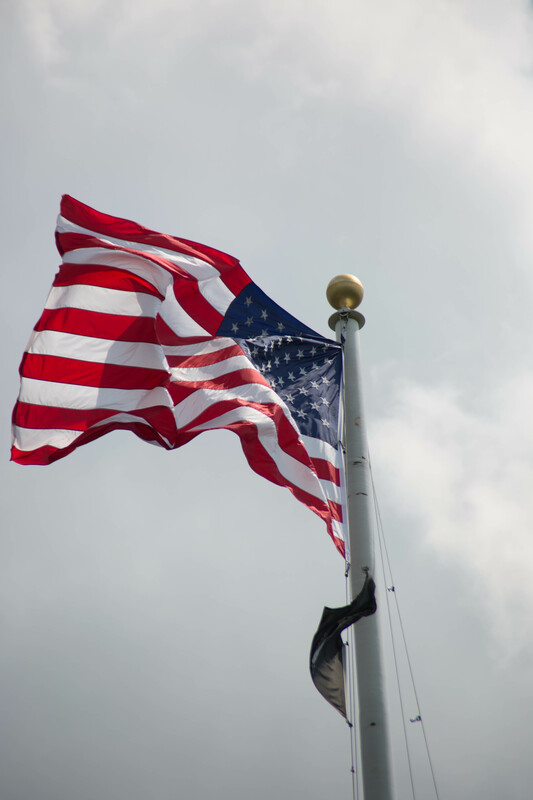 While walking to the front steps, I glanced over to see a couple exchanging vows beneath the flagpole. The sight filled me with curiosity. 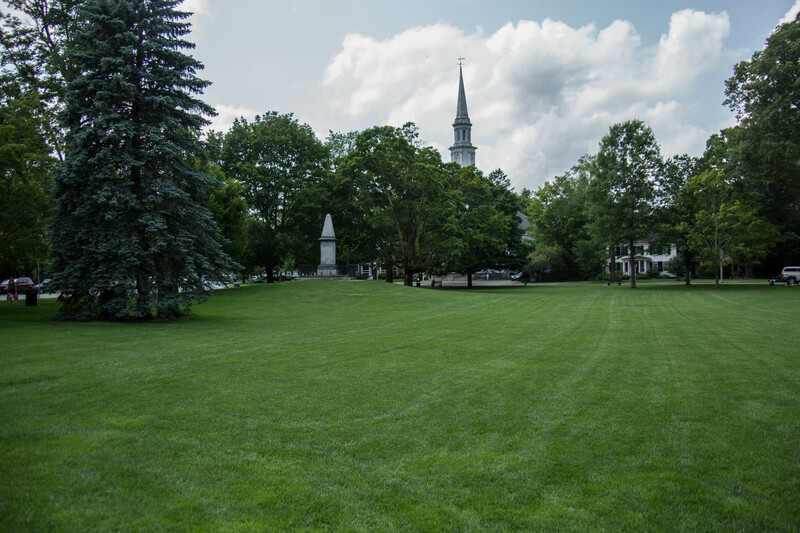 Who would pick Lexington Green for a wedding? Divorce, yeah I can see that….freedommmmmm! Sweet freeedom! (just kidding). I went back to my car, grabbed my camera and approached the young couple. The bride told me their story. Both she and her groom had been born in China. They came to America as high school students, attending the Minuteman School just off Battle Road between Lexington and Concord. 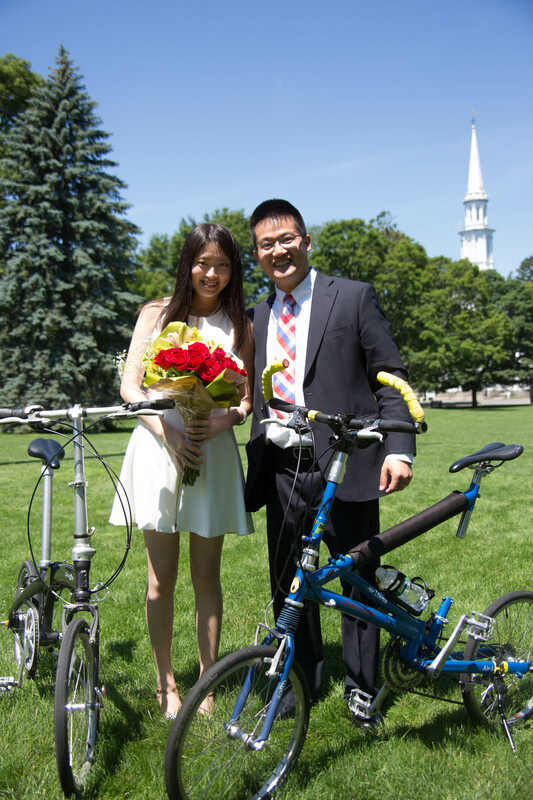 One day, while bicycling around the Green, they ran into each other and struck up a conversation. Already, the Green held meaning for the bride. 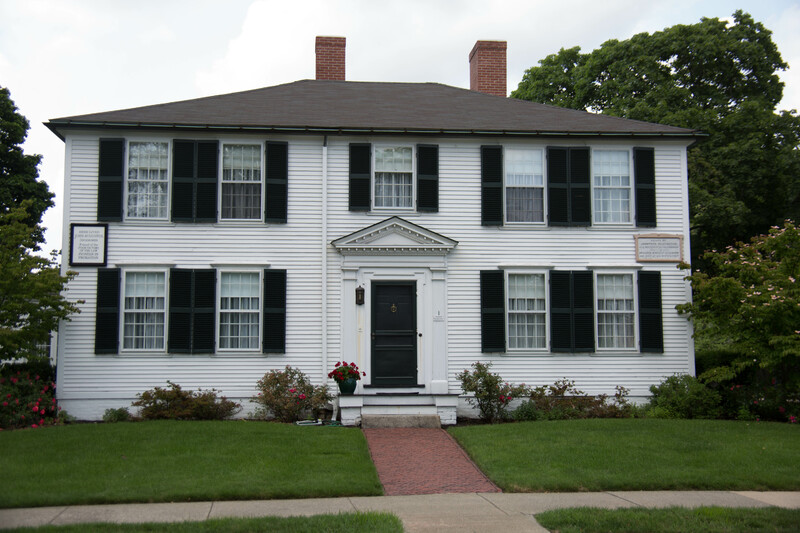 Her host family had taken her to it and explained its history on one of her first outtings after arriving in Massachusetts. She understood the significance, and found comfort in the place’s meaning. She sought her own freedom and charted a course to stay in America and build a life of her own here. When she and her husband decided to marry, they could not think of a place of better meaning and significance. Together, they began their new life together at the spot where their adopted country had been born. Later that morning, I broke for lunch. No colonial-era food nearby. Instead, I dined on Indian food at a place only a few yards from where a British officer shot a fleeing farmer with his pistol. That quite possibly had been the shot that triggered the firing on the Green. Indian food, Chinese immigrants. A Chinese restaurant around the corner. Visitors from all over; an employee at the center who drives down from Maine three times a week just to stand on the Green in period clothing and talk to strangers. What a gloriously American place. Our heart beats strong here. Fantastic story, thank you for sharing, I felt pride within me for your Country’s history, how can you not see those sites and feel the presence of the past in your heart. A story that I was not familiar with, but which seems a pretty good way to have started a struggle for nationhood. As regards patriotic places to visit, if you are ever near Cambridge, England, then you must go and shed some tears and lay some flowers at the huge American War Cemetery at Madingley.